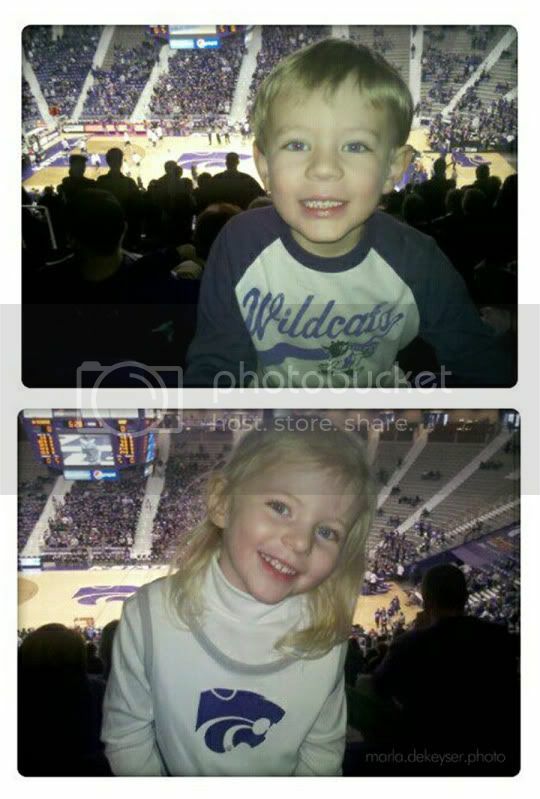 We took a day trip this past weekend to Manhattan, Kansas to visit Dirck's alma mater and take in a basketball game. These kiddos loved wearing their Wildcat clothes, and if only it would have been a little warmer, we could have gone all over that campus. Here's a quick pic in front of the administration building. And two little snaps from inside taken with my phone. What a sweet brother. He must love that sister of his a lot!